Supplied in 20kg bags Coverage. 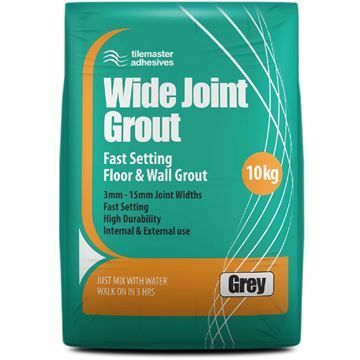 20kg pack will cover 5 – 6 square metres at 3mm thin bed application. 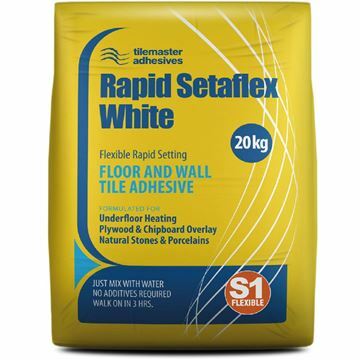 • Primarily for tiling onto solid substrates such as concrete. 20kg will cover 5-6m2 at 3mm thin bed application. • Apply impervious floor finishes after 90 mins. 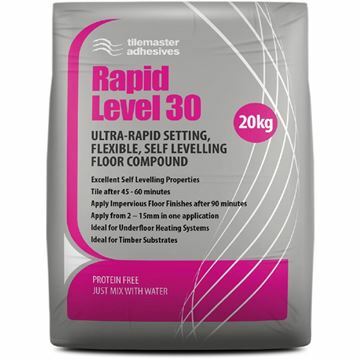 • Excellent self levelling properties. • Apply from 2-15mm in one pour. 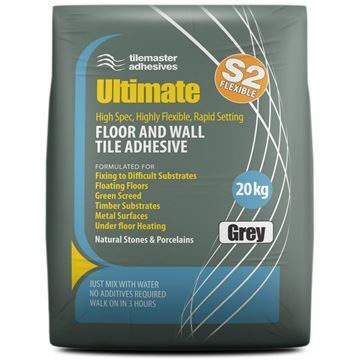 • Ideal for Under Floor Heating Systems. • Simply mix with water. 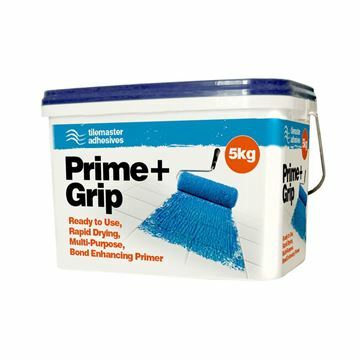 • Ideal for plywood, UFH, Chipboard & Plasterboard. 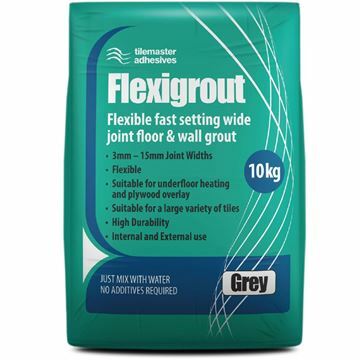 • Specially formulated to accommodate limited movement, from heated screeds and/or over-boarded wooden floors. Coverage. 25kg will cover 6-7m2 at 3mm thin bed application. Coverage. 20kg will cover 5-6m2 at 3mm thin bed application. 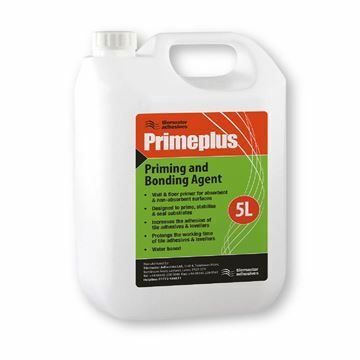 • Formulated for Natural Stone, Porcelain & Ceramic Tiles. • Internal & External use. • 3 Hour pot life. Supplied in 25kg bags Coverage. 25kg will cover 6-7m2 at 3mm thin bed application. • Bucket life of 3-4 hours- Ideal where longer working times are required. • Developed for fixing to plywood & chipboard overlay. • Idea for underfloor heating systems. 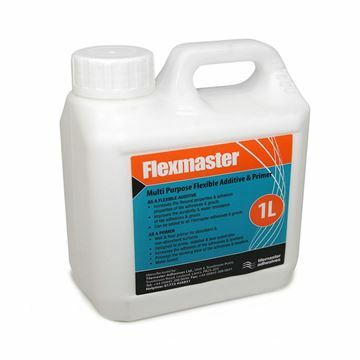 • Specially formulatedfor fixing porcelain & natural stone tiles. 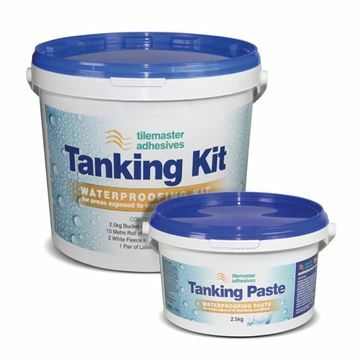 • Ideal for swimming pools & wetrooms. Coverage. 20kg pack will cover 5 – 6 square metres at 3mm thin bed application. 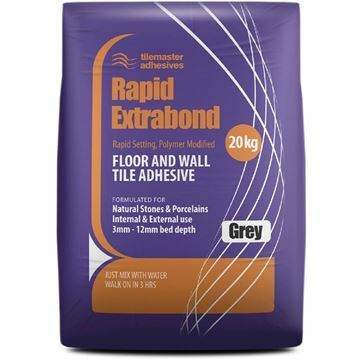 • Suitable for joint widths 2mm up to 15mm, Can be used on walls and floors, Limited flexibility to absorb movement from wooden floors or underfloor heating. • Available in Almond, Beige, Brown, Charcoal, Cocoa,Dark Grey, Jasmine, Light Grey, Limestone, Mid Grey, Natural Grey, Sage, Sandstone & Pure White. Coverage is approx. 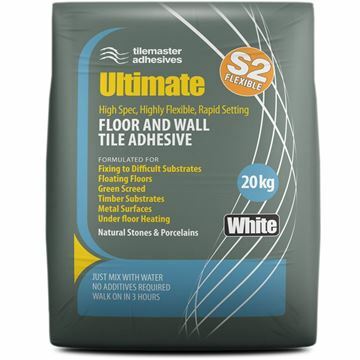 .2 – .8 kg/m2 depending on tile & joint size. • Matches the grout 3000 colour range. • Multi purpose silicone sealant. • Easy to apply and smooth. Supplied in 31ml Cartidge Coverage is approx.8.5 linear metres when using 6mmx6mm bead size. 2.5Kg Tanking Paste, 10m Reinforcing Tape, 2 Internal Corners, & Latex Gloves. Coverage as a Primer 1 litre applied neat will cover 10m2, diluted with 3 parts water, 1 litre will cover 40m2. Applied as a slurry coat 1 litre will cover 18m2. 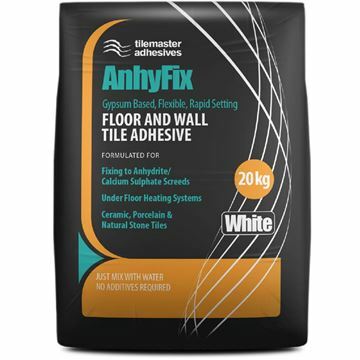 As one of the leading independent tile suppliers in the East Midlands, we don’t just sell you tiles – we also sell a variety of adhesives and grouts that will keep your tiles secure. We cover Derby, Leicester, Nottingham, Chesterfield and Mansfield, as well as delivering all across the UK. The advantage of coming to us for your tiles, as well as your tile grout and adhesive, is that our team of experts can advise on exactly the right one to use for your particular tile. 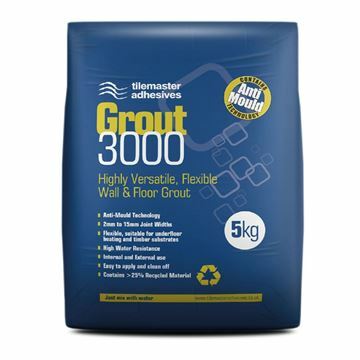 We are very proud to stock grout and adhesive from Tilemaster, because they are a company known for their high standards of quality and innovative products. 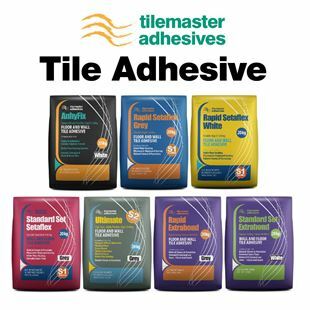 Tile Town stock a range of Tilemaster tile adhesives and Tilemaster grouts for your DIY project. We want to make your tiling plans as easy as possible to realise. Plus, our fully trained staff are always willing to offer help and advice. 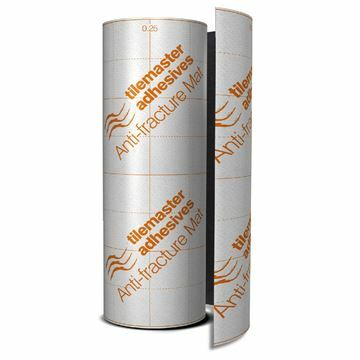 Tilemaster Adhesives was established in 1990, a family business that has maintained the family virtues of care for their customers. Unique, because they are smaller than most other adhesive suppliers and so give one-to-one service in pure customer requirements, covering product formulation, packaging and technical site support. 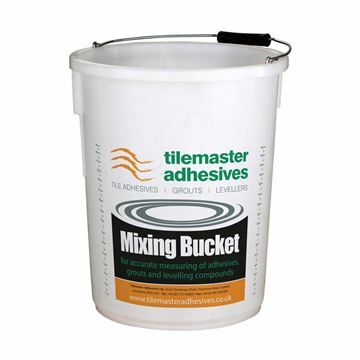 Tilemaster Adhesives is committed to supplying the industry with a comprehensive range of products manufactured to the highest standards. Whatever the tile material, the tiling background and the function of the tiled environment, there is a Tilemaster solution that you can completely trust for quality and lasting performance. All Tilemaster products are manufactured in Leyland, Lancashire. This means that they can keep a close eye on quality and ensure that you only ever get the highest quality products. 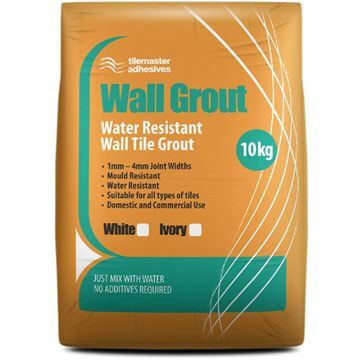 We have a such a large range of adhesives and grouts available for you to browse through. There are so many aspects of a tiling job that you have to consider, such as tile weight, material, tile placement and moisture levels, to name a few. This is why Tilemaster have made so many different products, and why we stock them, to ensure that you have the perfect product to match your particular circumstances. 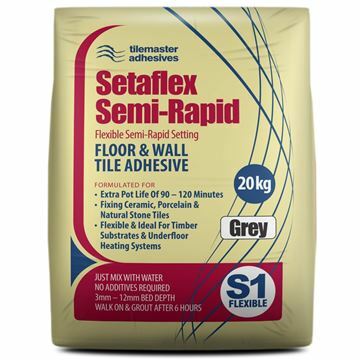 The range includes self-levelling compounds that will ensure that the surface you are tiling is made completely level, to make your life easier. 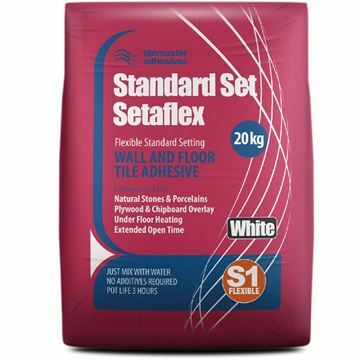 The range also has anti-mould silicone sealant that will keep the pesky fungus from getting into your tiles and damaging them. 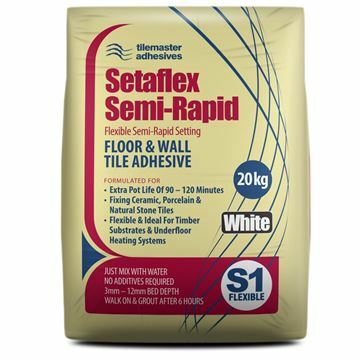 Use rapid set tile adhesive to quickly fix ceramic, porcelain and natural stone tiles in place with confidence. Come to one of our showrooms in the East Midlands to have a look at our Tilemaster products. Tilemaster products come with clear instructions, but it always helps to discuss your plans and concerns with a friendly expert. Have a chat with the team in our South Normanton or Derby showrooms to ensure that you are getting the perfect product for your particular requirements. The new TileMaster Product Guide is available to download now!